Deborah Jackson-Robinson, age 65, of Camdenton, Missouri, formerly of Sullivan, MO, passed away on Thursday, November 8, 2018 at Lake Regional Hospital in Osage Beach. Deborah Denise Ennis was born May 1, 1953 in St. Clair, MO, the daughter of Harold G. and Shirley J. (Wolfe) Ennis. Our sweet mama, friend, and family member Debee absolutely had the heart of a saint – from caring for older folks in nursing homes, to looking after family members, she finally took it upon herself to dedicate herself to the children of Sullivan and the legacy of “Nurse Deb” and her “Magic Mints” was born. Not only was she compassionate towards the children of the school district, but the community as well. She took tremendous pride as an advocate for the Sullivan Backpack Program which provided younger children with food and snacks through the weekend when they wouldn’t be there for school. Sullivan was very much her home town and she may have lived in half the houses there – some twice. 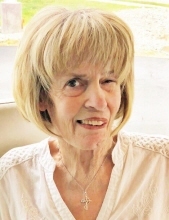 There wasn’t much that she loved more than spending time with friends and family at the river with a good cold beer, playing quarter poker, scrabble, and tending to her plants and flowers. She always had the prettiest tulips in her yard and you could typically always find a vase of daisies on her dining room table. Easter was her favorite holiday and her kids could anticipate Jelly Beans in an Easter basket every single year. Deb loved baking oatmeal cookies for the holidays and her beans and cornbread were always the most comforting meal. She had the most beautiful handwriting. She loved “picking” for antiques and would come home with several new finds and know the perfect spot to place them. Her favorite piece was an old church pew that sat on her front porch for years. She was a lady of great faith. Looking through her bible, there were so many underlined and emphasized verses, handwritten notes, and thoughts. She was the best mom, DeeDee to her new granddaughter, companion and friend anyone could ever hope or pray to have in their lives. She loved fiercely, laughed loudly, cried fervently, and had such a special way of relating to others. She will be ferociously missed, but the memories she gave us will be there always. Deborah is survived by her companion, Paul Graham; her two children, Devon Blankenship and husband, Shane of Camdenton, MO, and Trent Jackson and wife, Allison of Springfield, MO; one granddaughter, Stella Jean Blankenship; a brother, Randy Ennis of Camdenton, MO; her beloved dog, Lucy; and other relatives and many friends. She was preceded in death by her parents, Harold Gene Ennis and Shirley Jean Ennis (Wolfe). Funeral Services will be conducted 11:00 AM, Tuesday, November 13, 2018 at the Eaton Funeral Home in Sullivan, with Pastor Kenny Todd officiating. Interment will follow in I.O.O.F. Memorial Cemetery in Sullivan. Visitation will be held from 4:00 PM to 7:00 PM, Monday, November 12, 2018 at the Eaton Funeral Home. Friends may send condolences to Deborah’s family at www.eatonfuneralhome.com. All arrangements are were under the care of the Eaton Funeral Home of Sullivan & Bourbon, MO. To send flowers or a remembrance gift to the family of Deborah Jackson-Robinson, please visit our Tribute Store. "Email Address" would like to share the life celebration of Deborah Jackson-Robinson. Click on the "link" to go to share a favorite memory or leave a condolence message for the family.